Born on January 25 in the city of Camaguey, Cuba. I began my studies in piano at the age of 6 in the school of arts “Luis Casas Romero “in the same city, in that period i realize some concerts in state institutions such as the Museum of the Revolution and at the Teatro Principal with works by Cuban composers. I Transfer to the capital, continued my studies at the Conservatory “Manuel Saumell” with Enrique Gonzalez. Transfer to Bogota Colombia where continue my piano studies at the National University Bogota and then at the Javeriana University under the direction of teacher Radostina Petkova. In this period I made several concerts as: Caro y Cuervo Institute, Bach Room A. Cristancho school in Bogota. Along with my studies exercis as a teacher at school Tabio and Tenjo subjects piano, music theory and music history. Latin Americans as Ernesto Lecuona and Adolfo Mejia. Arango. “Mozart and the interpretation of his piano sonatas.” At this time i won the competition for piano “Young Performers” in Bogota with the first prize, concert in the prestigious Luis Angel Arango room. I travel to Salzburg Austria continue my piano studies in that city at the University of Arts and Music Mozarteum under the guidance of maestro Brian Lamport from England and later with the Prof. mag. Stan Ford from U.S.A. I was a Member of the Jazz band of the Mozarteum University in Salzburg with different presentations in Rockhaus Salzburg and in Vienna at the Embassy of Thailand. Further i played a Concert at St. Gervais in Paris as a commemoration of the end of the century. Then my pedagogical study culminate in the diploma IGP1 at the Mozarteum with distinction. In this same period I was granted Conservatory scholarship to continue my study of master in Mozarteum under the direction of Professor Stan Ford. Another concert in Paris with works by Beethoven, Scriabin, Debussy, Lecuona and Piazolla. A jazz Concert with Sigrid Likar singers and Marianne Fruehstuekl for Castania party. I was awarded the title of MAG. art at the University of Music and Arts Mozarteum, with the thesis: “Prokofiev composer between freedom and regime” and concert degree. Participation in various artistic activities such as exhibition of Austrian painters expositions. A Concert cooperation with writer Wolfgang Wenger at the house of Salzburg literature during the presentation of his book with works by Arvo Paert, Mozart and Piazzolla. Pegagogica training courses in branches of the pianistic didactic. Director of female and mixed choir in St. Georgen Oberoesterreich numerous private and church performances. Working as an organist from 1998 to 2015 in the church Santa Isabel Salzburg and as piano teacher too. Compositions with audiovisual recordings and videos to my website and youtube channel. Artistic project of recording my own CD. Winner of the Akademia Award in Los Angeles for best classical album in piano music !!! 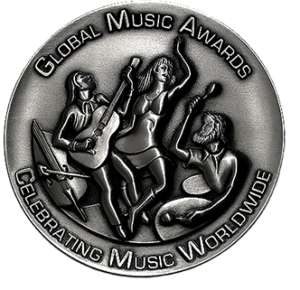 Winner of the Global Music Award category instrumental 2017!!! Nominated 2017 SoloPiano.com Album of the Year in contemporary modern piano!